The calcaneus or heel bone is the largest bone in the ankle forming the heel and is situated at the lower back part of the foot. 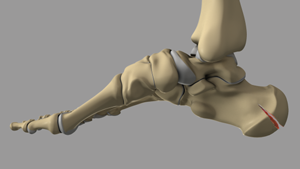 The calcaneus forms the subtalar joint with the talus, which helps in the inward and outward movement of the foot. Fracture of the calcaneus reduces or prevents movement of the subtalar joint. Calcaneus fractures may lead to deformity of the calcaneus bone, irregularity of the subtalar joint, arthritis, and affect the surrounding tendons and nerves of the heel. Based on the involvement of the subtalar joint, calcaneus fractures are divided into intra-articular or extra-articular fractures. Intra-articular fractures involve the joint and any of the three subtalar articulating facets (location where two bones meet). Extra-articular fractures may involve the calcaneal body and associated structures, but not the joint. Calcaneus fractures are mostly caused due to trauma or high impact conditions such as fall from a height or motor vehicle accidents. Ankle sprain or stress fracture may also cause the heel bone to become fractured. Your doctor may order computer tomography (CT) scan in which images are taken from various planes to diagnose the degree of calcaneal injury. 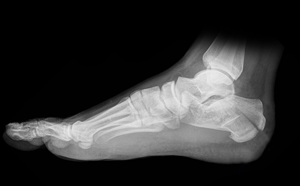 Foot X-rays shows the break in the heel bone or reduction in Bohler's angle (angles less than 20°, or more than 5° that is smaller than the uninjured side, indicate a fracture). The treatment approach for calcaneus fracture depends on the type and severity of injury. Rest, ice, compression, and elevation (R.I.C.E.) therapy: You should allow the injured foot to rest to promote healing. Treat the injured area with ice to reduce swelling, pain and inflammation. Use compression stockings or a bandage. While you rest in the bed, elevate the foot above the level of heart to reduce swelling. Immobilisation: Your foot will be partially or completely immobilised if the fracture has not displaced. Casting the injured foot prevents moving of the fractured bone. Walking with the help of crutches is advised to avoid bearing body weight. Surgery is recommended for intra-articular or displaced calcaneal fractures. The surgical procedure is called an open reduction and internal fixation and is performed under the effect of general anaesthesia. 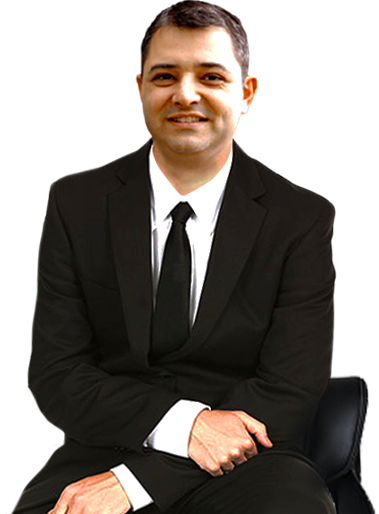 Your surgeon will make an incision on the outside of the heel to expose the heel fracture. The fractured heel bones are placed together and fixed in place with a metal plate and multiple screws. This procedure minimises the chance of developing arthritis and allows inward and outward movement of your foot. Your surgeon will plaster the foot to prevent movement of the ankle. Following the surgery, your doctor may advice physiotherapy and exercise to maintain range of motion for the joints of the foot and ankle. The foot muscles will gain flexibility with strengthening exercises such as toe-walking, weight exercises, jump training and exercise using stairs.